We’re supposed to teach our kids the important stuff. 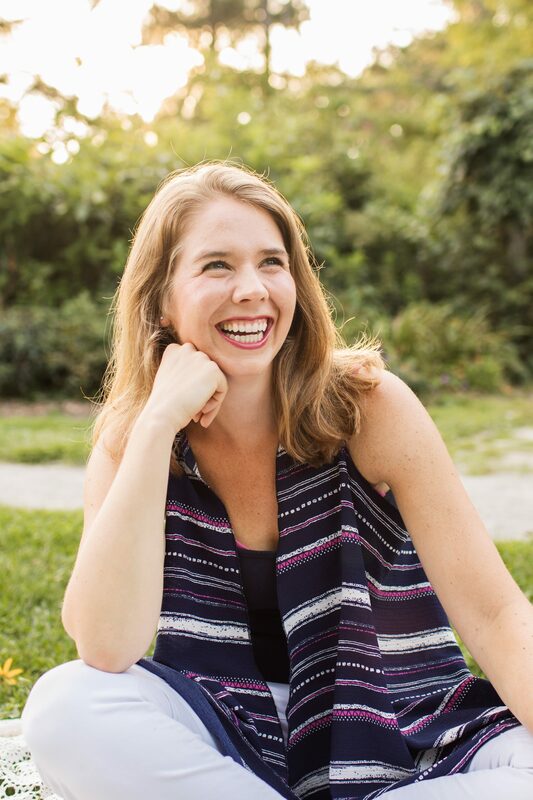 But all too often they end up teaching us, and leaving us feeling confused about our own status as authority figures. And then they throw a fit because you gave them pizza after they specifically asked for pizza and you make them eat at least two bites of pizza and the balance of power is back. So it all works out. This weekend, in between mini tantrums about the time I called her baby doll the wrong name, and the time I handed her milk, and the time I asked her not to sucker punch her brother, Norah gave me a big ole lesson in courage. And it was all kinds of humbling. 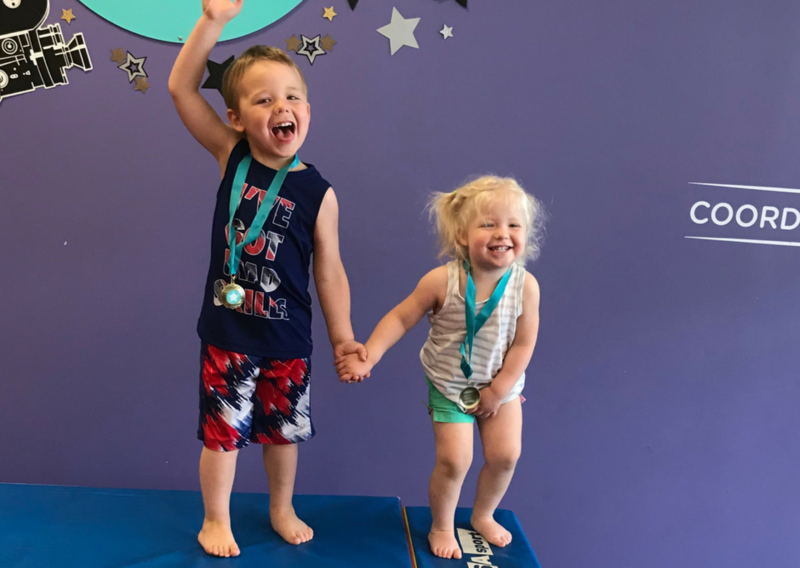 Jack and Norah both go to The Little Gym for gymnastics class each Saturday. It’s super cute and they have learned how to walk on balance beams, and climb rock walls, and do forward rolls. It is also a fabulous way to burn off some toddler/preschool energy. Worth every penny. At the end of the session, there is a “Big Show” and the kids each get called up to get their medals. The Olympic music comes on, the parents take 1 million pictures – exactly what you would expect. Norah’s show was first and she was having a blast climbing, swinging and running. She’s naturally athletic (I think, I don’t know, she’s two) so she has really done a great job with all the new skills and activities over the past six months. There were smiles, and giggles, and an intense amount of cuteness. Until we got to awards. Norah found a seat on the mat, waiting her turn in line to get her medal. A medal she had been pining over for months because Jack has one hanging on his doorknob from last year. A few kids went up to get their medals and we all clapped and cheered. I took Norah out into the hallway to help her catch her breath and through big sobs she told me she wanted to go back into the class. I hesitated a bit but thought that we could try it and see if maybe her fear would subside after seeing a few more kids get their awards. But she still wanted to sit back down on the mat. So we sat, me hugging her tightly, Norah hating everything but also showing more grit than most full grown adults. Little lady had no intention of leaving the class. She was getting that medal. So she called Norah’s name and my brave little girl stood right up and walked over to the podium and climbed the steps, tears streaming down her face the whole time. The medal was put over her head and she climbed back down and walked over for some Mom snuggles. The tears didn’t stop until well after the class was over and we went to the Dunkin Donuts next door. I felt awful at first. Should I have hugged her closer? Asked the teacher to get the medal later? Did I just traumatize my two year old and solidify a nomination as worst mother of the year, toddler category? But as Norah sat happily with her donut catching glances at the medal around her neck, I realized that she might be the bravest person I know. When was the last time I had been so terrified of doing something I really wanted to do that I sobbed uncontrollably in public, and then did the thing anyways? 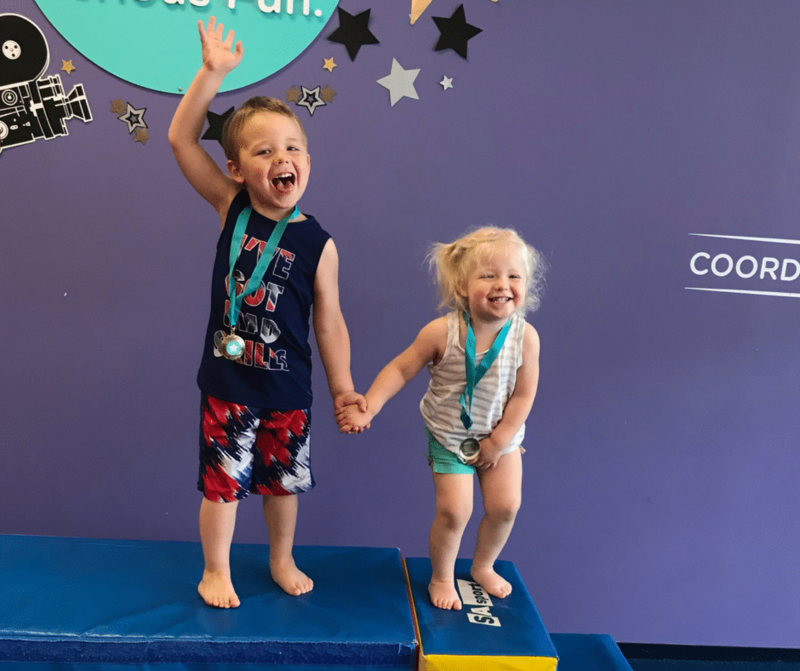 Norah had been thinking about the medal for a quarter of her life… She was a gymnastics champ, and she had earned that little piece of tin on a blue ribbon. There was no way she was going to let her fear of the crowd stop her from having her very own medal to hang on her doorknob. That’s some inspiring stuff. 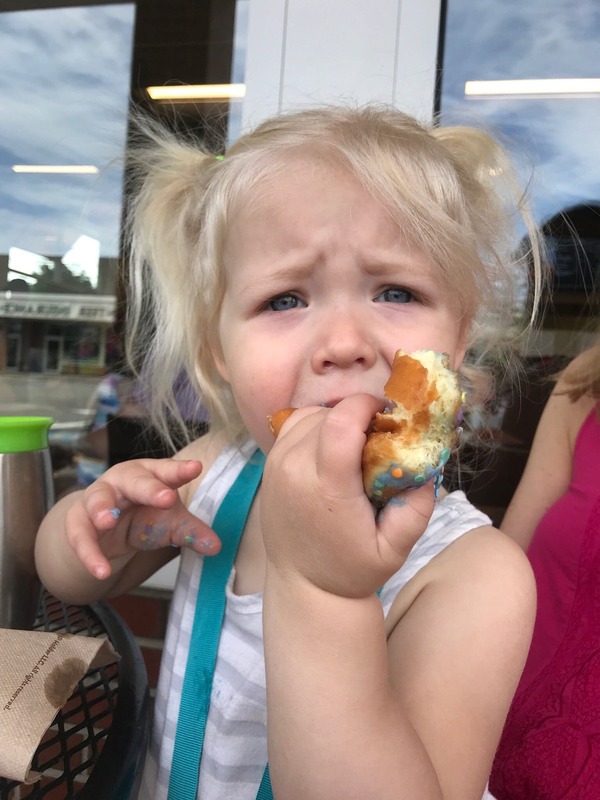 As she polished off the donut, I told Norah that I was so proud of her because she was courageous. She was scared, but did it anyways. The very definition of bravery. I should do a little more of that in my own life – be a little braver. 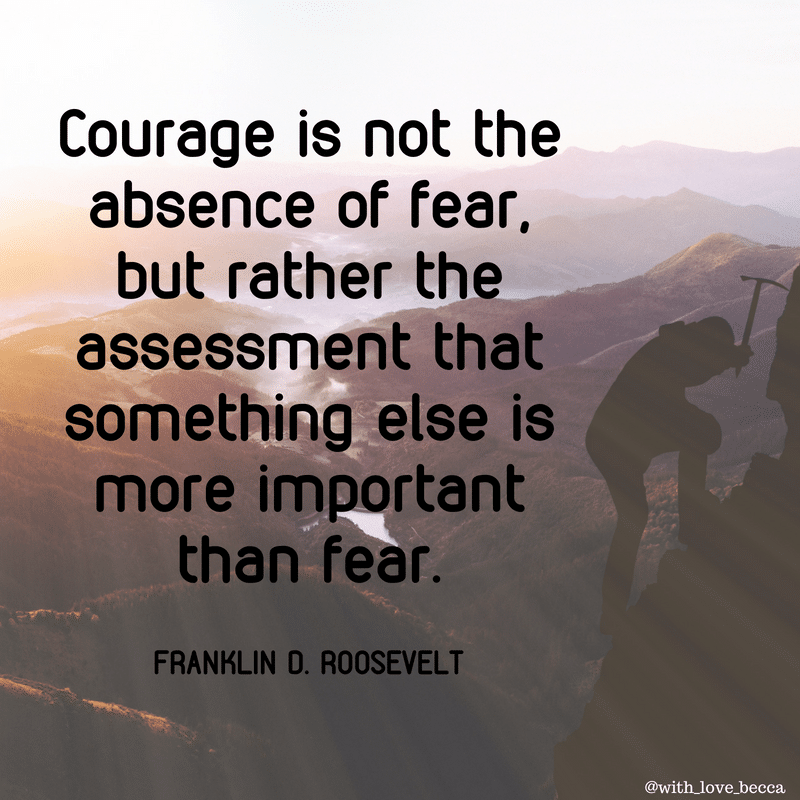 And not just “go after the thing that makes you a little uneasy” kind of brave. The “shake you to your core, cry on the way to the podium” kind of brave. I think I owe that to my kid. P.S. She got another shot at the podium after Jack’s show. All smiles! I loved reading this post so much. You have one strong and inspiring little lady there, Becca. I’ve pinned this as a reminder for myself when I need the “shake you to your core, cry on the way to the podium” kind of brave. Bless her heart <3 BTW, (gymnastics tears aside), you have the happiest looking children! They always have the biggest smiles in their pictures, and it warms my heart. I so love the gymnastics thing for the little ones. My Norah has been doing her class for about a year now, and it really was such an awesome thing to see her gain the confidence to walk on that balance beam without help. This is inspiring, she rocks! !